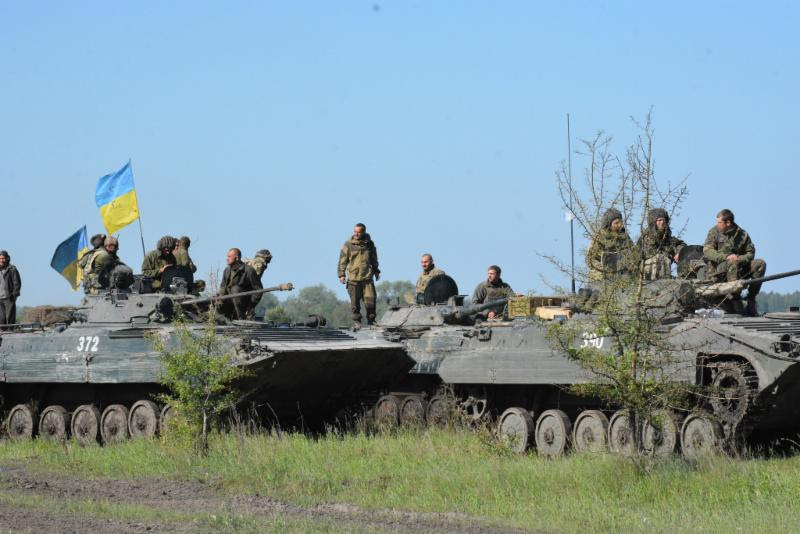 Ukrainian Armed Forces armored units training exercises. Ukraine’s Ministry of Defense reported at 12:30 PM Kyiv time that in the last 24 hours, no Ukrainian soldiers were killed and one Ukrainian soldier was wounded in action. In the last 24 hours, Russian-terrorist forces opened fire on Ukrainian positions on the Luhansk and Donetsk sectors of the front 21 times in total. 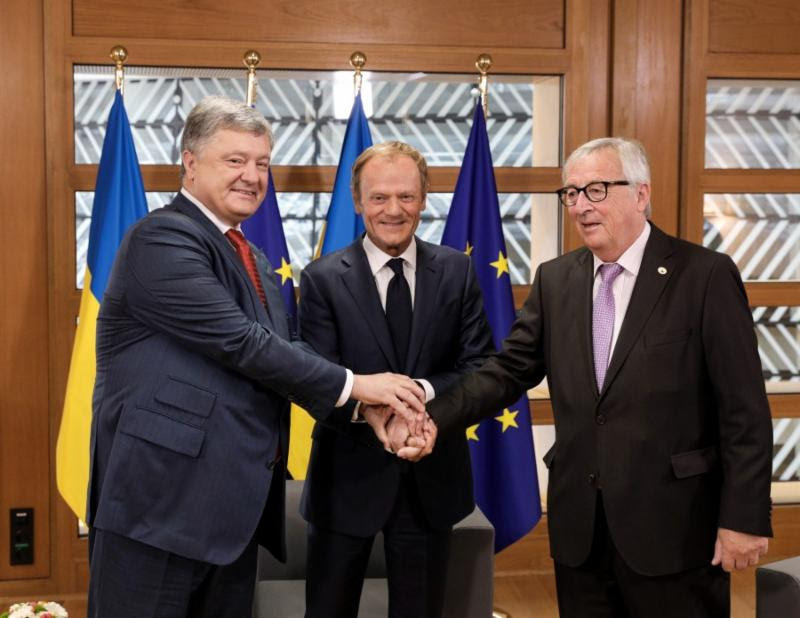 Ukraine’s President Poroshenko_ President of the European Council Tusk and President of the European Commission Juncker at EU-Ukraine Summit, July 9. The 20th EU-Ukraine Summit is being held today in Brussels. The EU stated, “EU and Ukraine leaders will exchange views on the next steps in the implementation of the association agreement and its free trade area. The agreement has been applied since 2016 and has delivered positive results on EU-Ukraine trade as well as on the country’s economy. They will also discuss progress on the Ukrainian reform agenda and the EU’s support to this process. On 29 May 2018, the Council agreed on a new package of macro-financial assistance of €1 billion for Ukraine. As regards the ongoing Russian aggression and conflict in eastern Ukraine, the summit will reaffirm the EU’s support for Ukraine’s independence, sovereignty and territorial integrity. 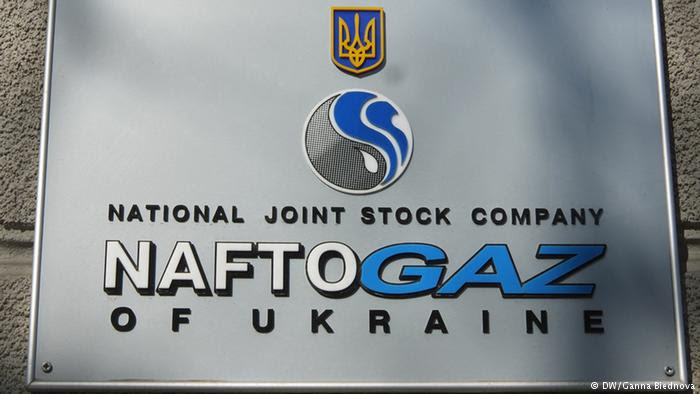 Naftogaz Ukrainy reported on July 6, “Naftogaz submitted a claim for revision of the tariff in its transit contract with Gazprom to arbitration in Stockholm. The transit contract between Naftogaz and Gazprom allows the parties to request a revision of the tariff in case of significant changes in the European gas market and if the tariff does not correspond to the level of tariffs in Europe. In the Award rendered by a Stockholm tribunal on 28 February 2018, Naftogaz’s claim for tariff revision was rejected for procedural reasons, and Naftogaz’s substantive right to a revision of the tariff was therefore not decided in that Award. Naftogaz submitted a request for revision of the tariff to Gazprom in March 2018, triggering negotiations pursuant to the contract. While in Odesa, Porter is scheduled to participate in exercise Sea Breeze 2018. Sea Breeze is an annual exercise held in the Black Sea which is co-hosted by Ukraine and the United States. 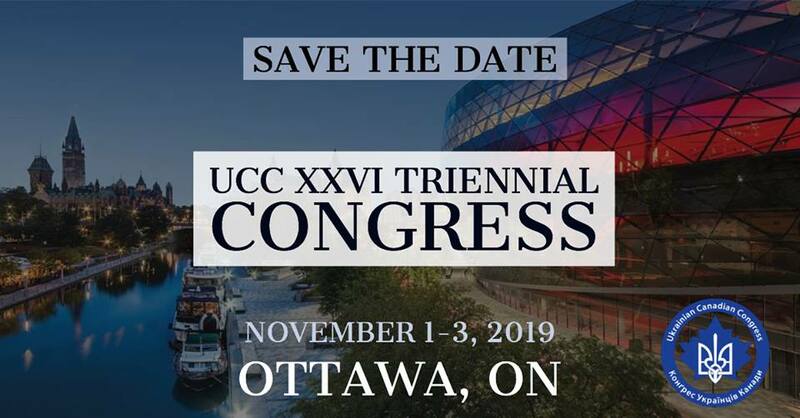 The exercise will focus on a variety of warfare areas including maritime interdiction operations, air defense, anti-submarine warfare, damage control tactics, search and rescue and amphibious warfare. 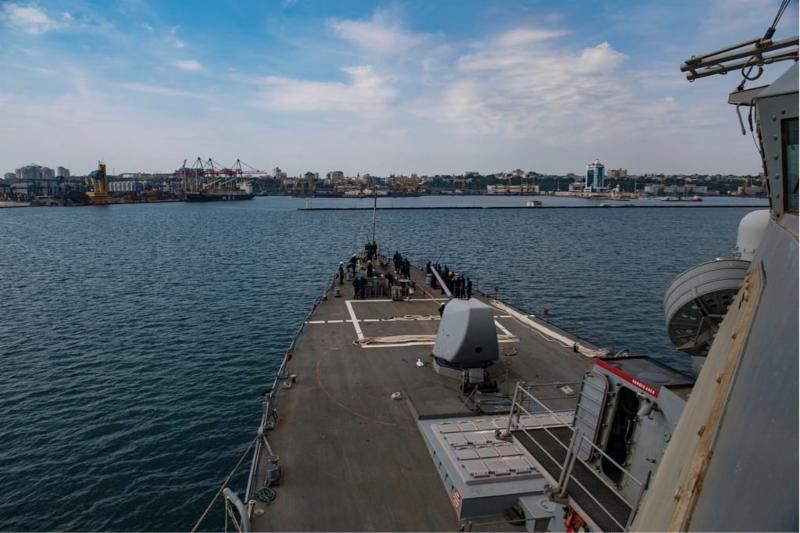 USS Porter entered the Black Sea to demonstrate the U.S. commitment to the collective defense of our NATO allies and partners. All Department of Defense efforts in support of our NATO allies in Eastern Europe fall under Operation Atlantic Resolve.